The MBTA on Thursday started posting a new type of subway service alert on social media and to riders who receive alerts on their phones. Another morning, another Red Line delay. But in a small consolation, riders now have a better sense for when it might end. 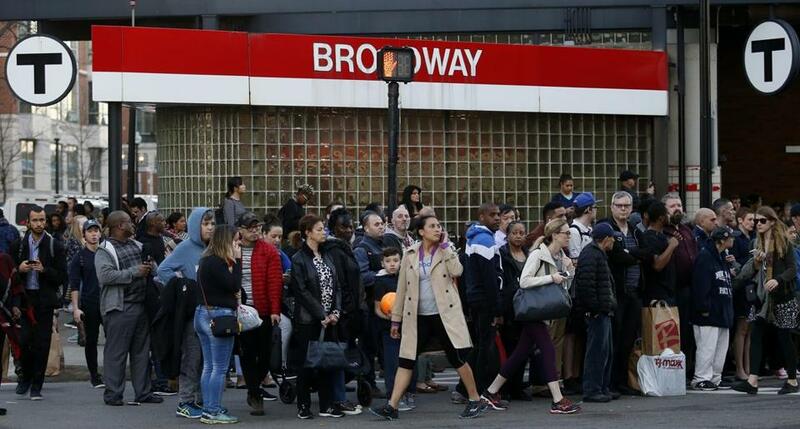 The Massachusetts Bay Transportation Authority on Thursday started posting a new type of subway service alert on social media and to riders who receive alerts on their phones. Rather than classifying delays as “minor,” “moderate,” or “severe” — the three long-time classifications — the T now projects how long the delays would last in minutes. The old system had come under fire from passengers who said phrases like “minor” or “moderate” didn’t adequately capture how long they’d be kept waiting. In January, the MBTA explained the methodology: a minor delay meant trains were running 10 to 20 minutes later than expected, moderate meant they were running between 20 or 30 minutes late, and severe meant a train would be delayed by more than 30 minutes or would be replaced by shuttle buses. A minor delay under those definitions could mean close to 30 minutes between trains at certain times of day, which riders felt was far from minor. Lauren Armstrong, the T’s public information officer, said the time-based alerts — already used on the commuter rail — are meant to address those concerns. “It’s very clear that our customers have been asking for us to be more transparent,” she said. Armstrong said riders should consider the announced delays as an addition to the typical wait for a train. On the Red Line, for example, where rush hour trains are expected to arrive every 5 minutes, a 5-to10-minute delay would mean trains will arrive within 10 to 15 minutes. So, are “minor,” “moderate,” and “severe” in the dust bin? Armstrong said it’s too soon to say for sure. “But if minutes are what works for our customers and it makes sense operationally, there’s not really a reason to stop doing it,” she said. The new system is not perfect, she said. The time frames are just estimates based on the available information. “We don’t have an exact science to give the most precise minutes,” she said. Still, some of the riders who received the new alerts Thursday seemed to appreciate the change. Delays will always be annoying, but this morning?s @MBTA alerts are wayyy better!! Adam Vaccaro can be reached atadam.vaccaro@globe.com. Follow him on Twitter at@adamtvaccaro.